Does what we do sound too good to be true? Here’s the truth about the expense reduction process. 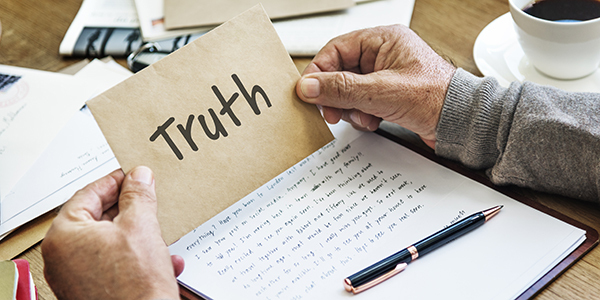 There are a lot of tough truths in life, and at Silverback, we find it’s best to be as upfront and honest as possible, especially when it comes to our process. Why? Because being transparent allows us to better serve our clients. In the spirit of straightforwardness, we’re going to share with you the most difficult parts of expense reduction. It may come as a surprise that the real challenge has nothing to do with the strategic cost reduction process itself. Since we do all the heavy lifting, that portion of the project is typically smooth sailing. The real challenges tend to be of the emotional variety. Don’t expect your employees to be excited about partnering with Silverback. Though we only work in non-labor areas, pushback can be common. Besides thinking we’ll take up their valuable time, your employees are likely worried we’re here to point out missteps. And let’s face it: no one likes to be told that they didn’t do their job right, or to have their competency questioned. But the savings we find are rarely a matter of competency. We know your team works hard to put out fires every day. Our Silverback team is simply a fresh set of eyes on your operating expenses. We work hard to understand and maintain your vendor relationships. In fact, many of our cost-saving recommendations don’t require a change in vendor. That being said, we’re here to save you money. That means less of your money is going into your vendors’ pockets, which won’t make them happy. But the question is, are you here to make your vendors lots of money, or to make your company successful? Our job is to boost your company’s bottom line. Part of how we do that is to ensure you’re getting the best value from your vendors. That frustration is understandable. But our experts have worked in nearly every industry and operational cost area, meaning many of the savings we find come from areas not known to our clients. Typically, the money we’re able to find has nothing to do with errors on your end, and much more to do with our experience, insight and market knowledge. No matter how well your company runs, there are areas in every organization that are not receiving the value that they could be getting. Consider this: A successful CFO has to be a jack-of-all-trades and master of them too, including preparing your tax returns. Yet, more than 77 percent of organizations believe they benefit from using a professional tax preparer or CPA. Why? The CPA is in the business of preparing tax returns. The same holds true for cost reduction. Your team is no doubt capable of reducing costs internally, but like hiring a CPA, working with a specialized professional like Silverback yields a better result. You’re no stranger to making hard decisions on a regular basis. It’s part of running a company, a department or a team. Expense reduction is no different. There may be some truly uncomfortable moments during the process. But, in the long-run, you’ll be improving your bottom line and ensuring a healthy future for your company, your team and your stakeholders, which is a win for everyone. Interested in finding out more about working with Silverback? Let’s talk.